DAC donors have collectively reversed two consecutive years of real terms aid reductions. Despite continued pressure on budgets, ODA grew as a proportion of national income for 15 of 28 DAC country donors in 2013. Total net ODA from all DAC country donors increased by 6% in 2013, up US$ 7.1 billion on 2012 levels to reach an all-time high of $135 billion. * ODA as a proportion of national income grew for most DAC donors, although 13 countries saw this ratio decline. Norway was the most generous DAC donor on the ODA/GNI measure in 2013, overtaking Luxembourg and Sweden. 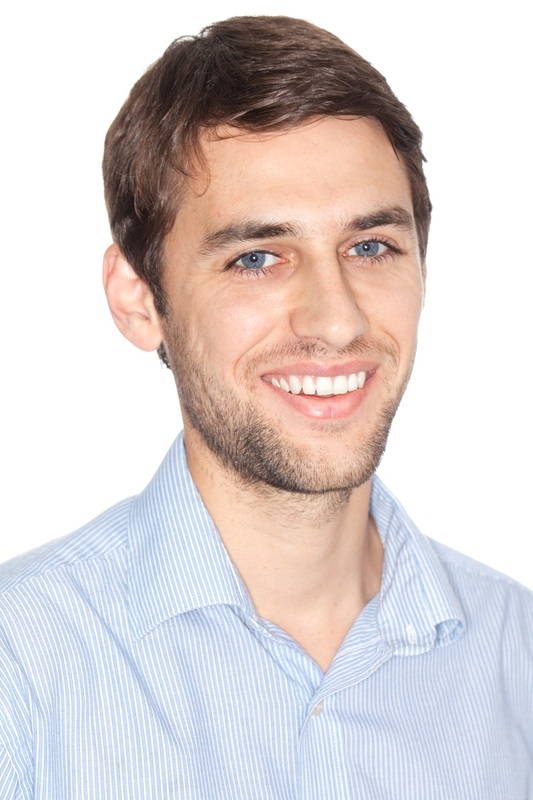 Norwegian ODA reached 1.07% of GNI (US$ 5.6 billion), up from 0.93% in 2012. But the United Arab Emirates, which reports ODA but is not a DAC member, reached 1.25% – the highest ODA/GNI ratio – partly due to exceptional support for Egypt in 2013. The UK is confirmed as the first G7 country to reach the 0.7% target, providing 0.72% of GNI as ODA in 2013. UK ODA grew 28% in real terms. The 0.7% DAC club, however, remains at five countries, with ODA from the Netherlands falling by 6%, to 0.67% of GNI in 2013. This is the first year that Dutch ODA has fallen below the 0.7% target since the 1970s. Other strong performers included Sweden whose ODA reached 1.02% of GNI (US$5.8 billion), while Iceland and Italy also saw substantial increases on this measure. But this trend was not universal, with ODA as a share of GNI falling in 13 countries. 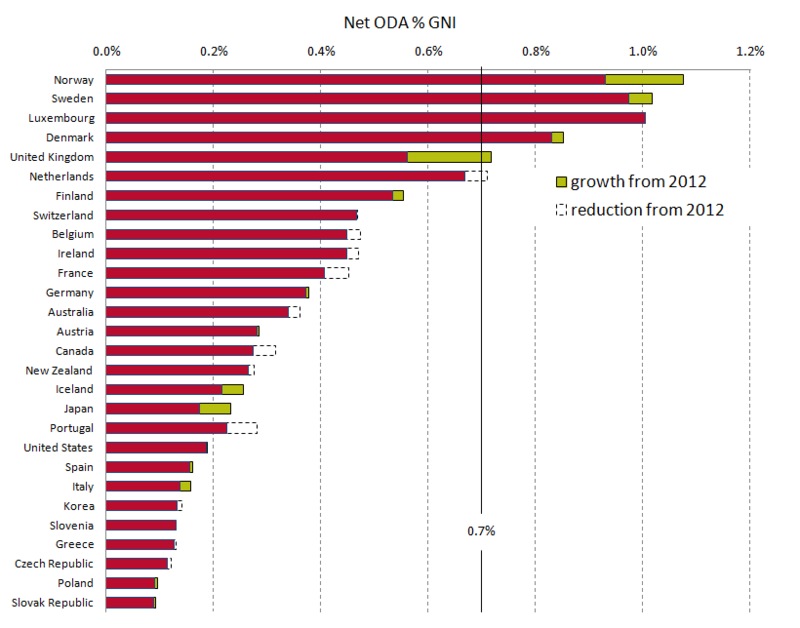 France’s ODA fell by US$ 1.2 billion, to 0.41% of GNI, while Canada’s ODA fell to 0.27% from 0.32% in 2012. You can download the data here in Excel and CSV format. The graph on this page shows net ODA for the 28 DAC country donors. Download the data to see figures for all non-DAC donors that also report ODA. *Note that the DAC release states a 6.1% or US$7.7 billion increase, which is in constant 2012 prices. OECD DAC – DAC provisional 2013 ODA release.